From the research of Allen Debus comes Monarchs of Minstrelsy: Historic Recordings by the Stars of the Minstrel Stage, a collection of rare recordings by the stars who once performed them in minstrel shows. These are real veterans of the blackface minstrel stage, singing the songs they made famous on stage and performing the minstrel routines that have made them notorious today. Monarchs includes 28 tracks and a full-color 24-page booklet. 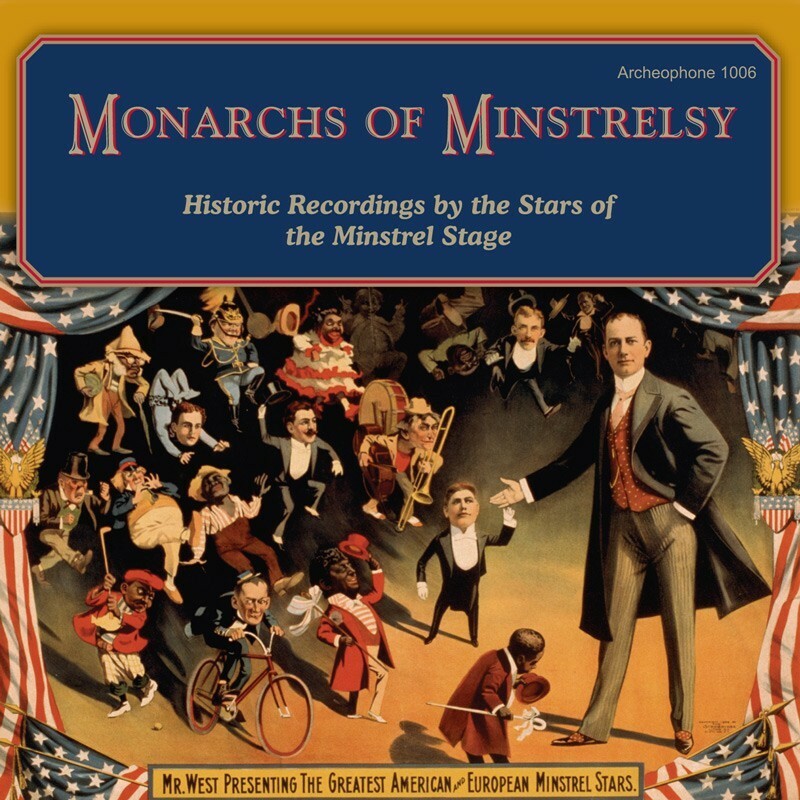 Visit Monarchs of Minstrelsy's expanded catalogue page to see the complete track listing, read an extended description, and listen to sound samples.